Welcome to K-Var.com – where we have Everything AK! Whether it be AK Rifles, AK Pistols, AK Shotguns, AK Magazines, AK Parts, or AK Accessories, we have exactly what you need and more. 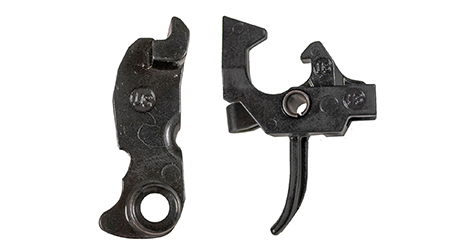 Do you need replacement AK parts, AK spare parts, or maybe you want to build your own AK – we have you covered. 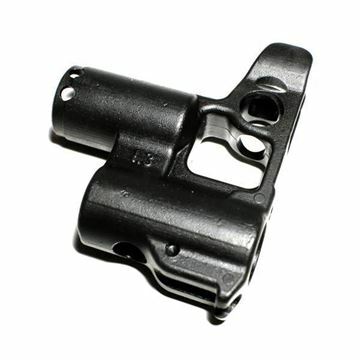 We have milled receivers, stamped receivers, AK magazines, AK parts and all the AK accessories you will ever need. Check it Out! The AK-47, (short for Avtomat Kalashnikova) is a gas-operated, 7.62×39mm caliber semi-automatic rifle, developed in the Soviet Union by Mikhail Kalashnikov. 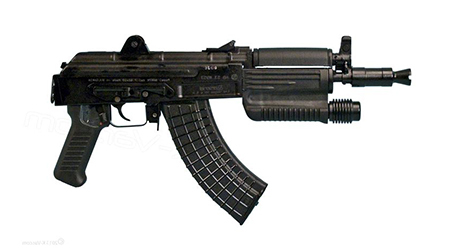 It is the originating firearm of the Kalashnikov rifle (or "AK") family. Design work on the AK-47 began in 1945. The AK-47 was officially accepted by the Soviet Armed Forces in 1949 and was adopted by the majority of the member states of the Warsaw Pact. Over the past 70 years, the model and its variants remain the most popular and widely used semi-auto rifles in the world because of their substantial reliability under harsh conditions, low production costs compared to contemporary Western weapons, availability in virtually every geographic region and ease of use. The AK-74 is an adaptation of the AK-47, but in a 5.45x39mm caliber. The design was overseen by Mikhail Kalashnikov in 1974. The smaller rounds used by the AK-74 allow the operator to carry more ammunition compared to the larger and heavier 7.62 cartridge. They also produce less recoil which can improve accuracy. 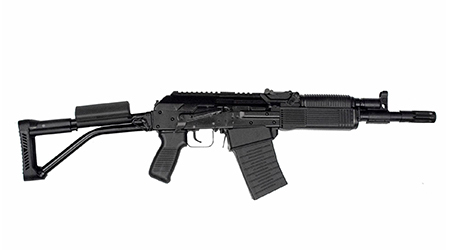 The AK-74 continues to see use around the world in military, law enforcement, and civilian arenas. This is where it all started! We carry the best AK Rifles in the world, the Arsenal brand! AK platform pistols? We’ve got them here! The Molot brand is banned from further imports. Get yours while you still can! Arsenal SLR-106C - Stamped receiver, 5.56 x 45 Caliber, Chrome lined hammer forged barrel, Front sight block. 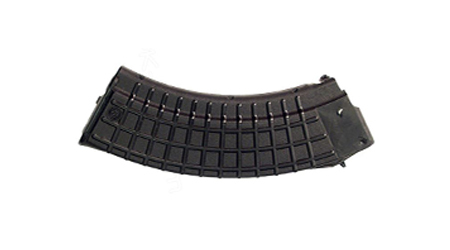 AK-47 and AK-74 magazines from low capacity up to 95 rounds! 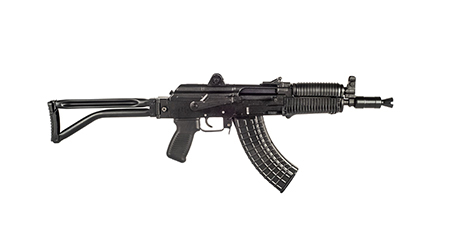 We have all your replacement AK-47 parts and AK-74 parts! 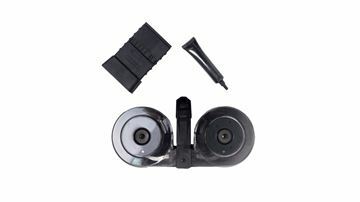 Get all your AK-47 and AK-74 accessories here! Lights, rails, stocks, etc.! 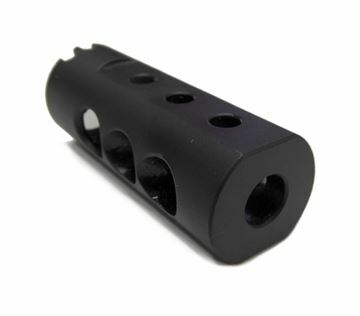 Magazine 7.62x39 Caliber 30 Round, Circle 10 "Waffle Pattern"
Circle 10 "Waffle Pattern" 7.62x39 Caliber 30 Round Magazine. Original Arsenal Bulgaria Black Polymer Mil Spec Magazine. 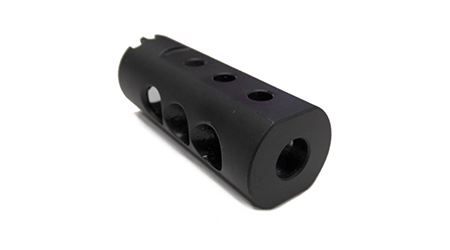 Vepr 12 Original Factory 8 Round Magazine that works with all Vepr 12 gauge semi-auto shotguns with a factory magwell. One piece construction, no coating on the magazine. Russian Original Molot made. Feed your Vepr 12 with top-quality Molot factory magazines. Metal reinforcement around the top of the weapons grade polymer body, follower, and floor plate insure years of dependable service. K-Var has been the "go to" place for years!